janegee pure aromatherapy soap are rich in antioxidants, and skin loving vitamins and nutrients. Our soaps will clean, hydrate and moisturize. Your skin will love you! Our base is olive, coconut, soybean oil and shea butter. We then add pure essential oils, clays and fresh herbs. janegee Soap on a Rope was made for a client who wanted the smell of the store. Made up of 7 cubes of soap, each coming from a different scent profile. 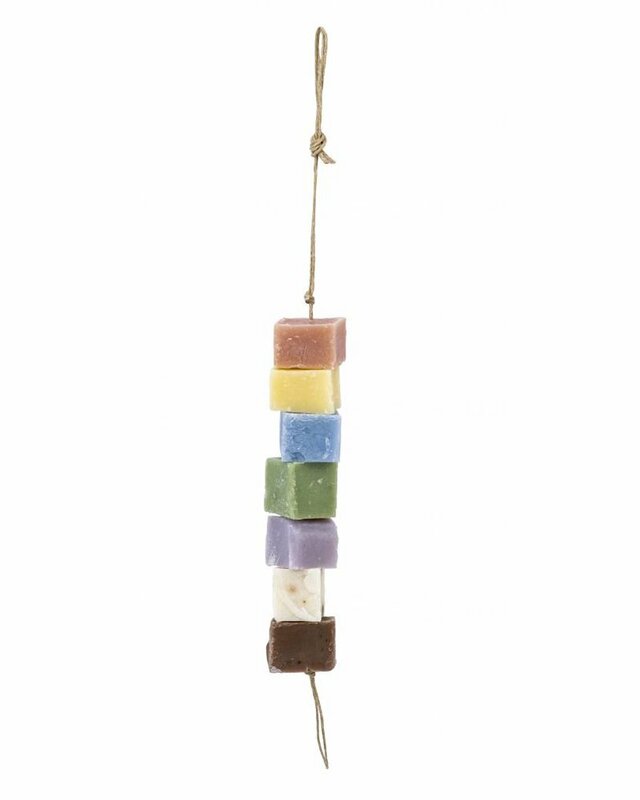 Great used as guest soaps or simply hung in your bathroom, closet, or car for a light, fresh scent.